There's no denying that lack of diversity has been an issue in Hollywood since, well, its infancy — and that proper representation of all races in television and film is deeply important, not only to give all actors opportunities in the industry, but also to allow every audience member the opportunity to see someone like themselves on screen. That's why when shows like Whoopi Goldberg's 1984 one-woman show titled The Spook Show air, it's so important. 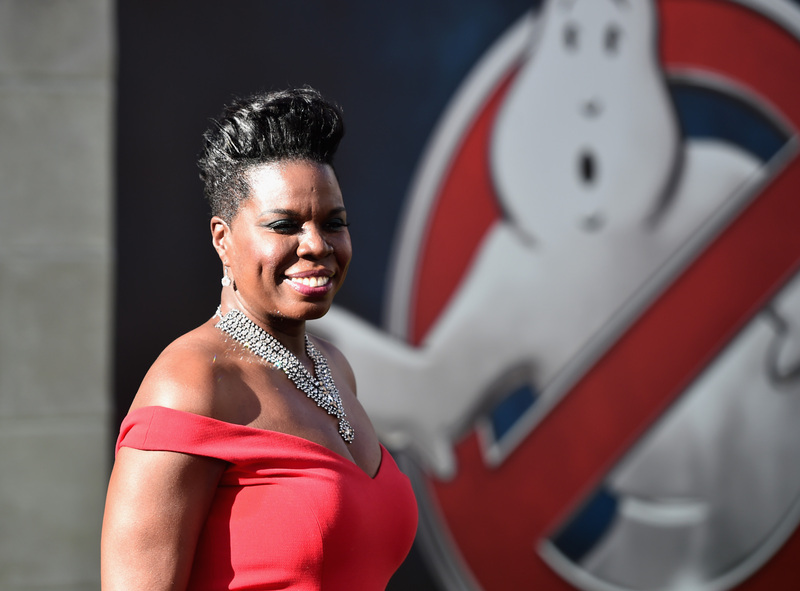 Saying just this in an appearance on The View Thursday morning, Ghostbusters star Leslie Jones paid tribute to Goldberg, stating that it was seeing Goldberg — a woman who looked like her — on-screen gave Jones the confidence to pursue a career in Hollywood. "When I was young, my dad always let me listen to comedy album. I always knew about comedy, I always loved comedy," Jones remembered. "The day that I saw Whoopi Goldberg on television, I cried so hard, because I kept looking at my daddy going, 'Oh my god. there's somebody on TV that looks like me! She looks like me! Yay! I can be on TV! I can be on TV! I can do it! Look at her, look at her! She looks just like me." Jones continued, "I just want to thank you from the bottom of my heart. Because now I know what I'm doing that when I put on that Ghostbusters suit, and little girls see me on TV now, now they're gonna go, I can do it. You gave that to me, and I love you... and I love you for what you've done for black women, I love you for what you've done for black comedians, and I love you." Jones was emotional while telling her idol the impact she had on her career. In Hollywood today, women of color are constantly overlooked for important roles and opportunities, and even accolades. What's worse is that, often times when they do secure a role, the power in their representation is constantly striped away or belittled as those roles are often stereotypes or products of typecasting. Jones' tribute to Goldberg proves the most important message of all: representation matters. It should the main goal to put unsung pioneers of minority to the forefront of products, and to allow all of society to feel represented in mainstream media. In other words: It matters to see yourself reflected positively, and it matters to feel heard and seen. Like Jones, Goldberg's strides to start a career in acting — even though there weren't many roles for young women of color — is proof that diversity in the media offers a mindset for change and an even bigger mindset for career goals. Accurate, diverse representation of all racial groups should be the biggest priority in Hollywood — and Jones' tribute to what Goldberg did for her as a young girl is proof of exactly why.